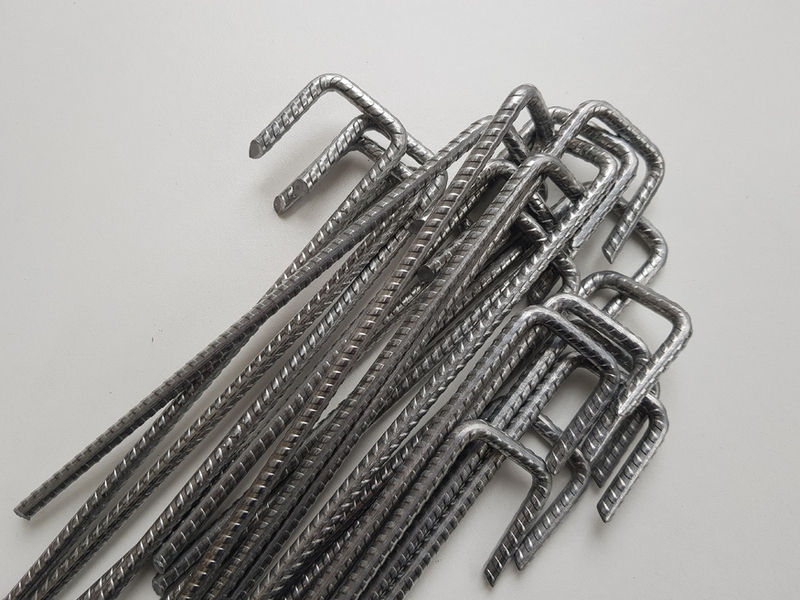 20 pack of 35cm long heavy duty thick 8mm galvanised rebar J-shaped pegs for securing the base of galvanised steel wire fencing to the ground. Securing wire mesh at ground level is done to stop animals burrowing underneath fencing, and helps to keep browsing animals out by stopping pests from digging and pushing underneath the mesh fence, helping to keep animals out. The galvanised J-Pins are designed to be pegged over the bottom horizontal wire in rabbit netting, chicken wire, stock fencing, deer mesh, garden mesh fencing and fox proof fencing. 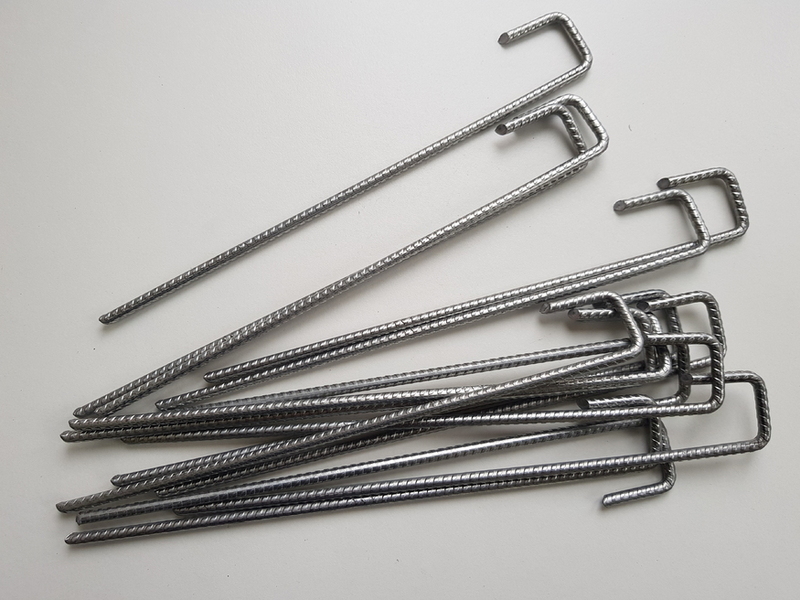 These 350mm long galvanised steel heavy duty pins have a 50x50mm J-shape. The 8mm dia. 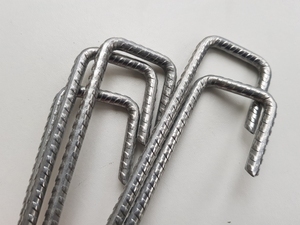 steel wire is galvanised for long-life and is very strong and ideal for most ground conditions. 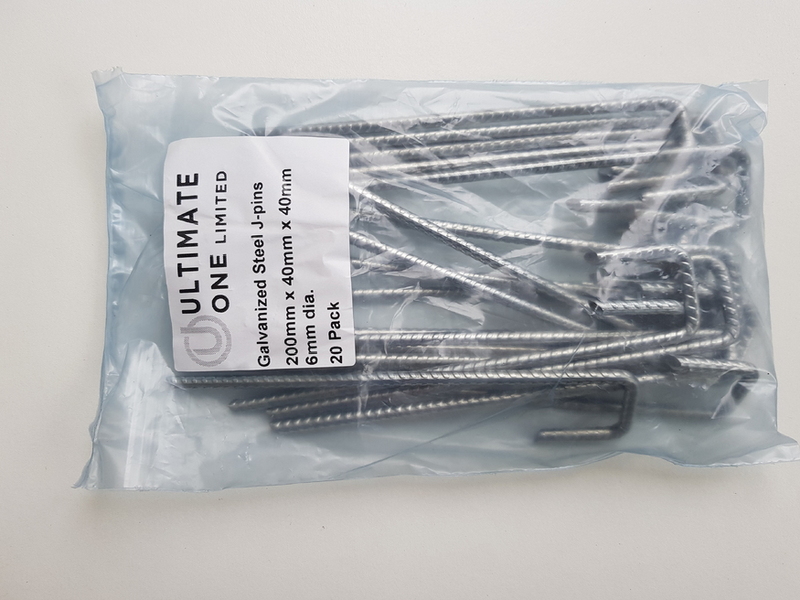 The J-pegs are also ideal as tent pegs or for securing guy ropes and any other fabric to he ground.